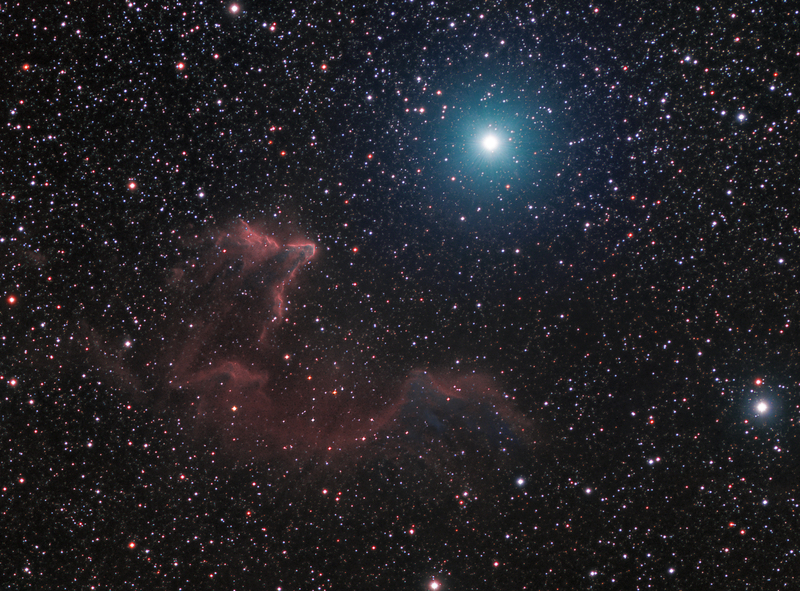 IC59 and IC63, the Ghosts of Gamma Cassiopeia, the two nebulae near the bright star. 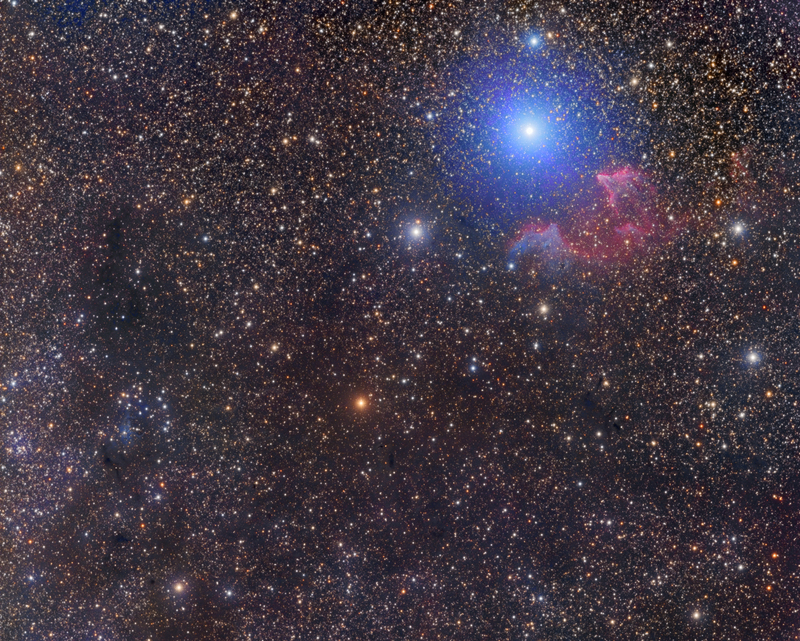 vdB4 is the small blue nebula in the lower left corner. NGC225, the Sailboat cluster, is the small grouping of stars just above vdB4.